Pike Properties specializes in residential home development, both new construction and remodels with a strong emphasis on custom design and finishes. We specialize in providing high-quality new homes, custom homes, and remodels to Charlotte, North Carolina and the surrounding area. We help our customers select the design that best fits their lifestyle and budget considerations. At Stylecraft, we are able to assist you in all the building phases and your entire individual needs including locating lots, working together with award wining architectural firms, writing specifications, referring you for financing and start-to-finish expert construction project management. We take pride in making sure that our customers feel comfortable during all the stages of construction. With each of our projects we want to provide a consistently positive experience. The success of Stylecraft is a reflection of the quality, attention to detail, ongoing cost control, meticulous project management, exceptional service, and transparent relationship with our customers. We are personally committed to building and renovating homes with impeccable skill and pride of workmanship. Chiott Custom Homes, Inc. is an experienced custom home builder dedicated to providing quality craftsmanship and complete customer satisfaction. A third generation REALTOR, Jonathan Chiott (pronounced “Shot”), President, is also a second generation builder with over twenty-five years of experience. 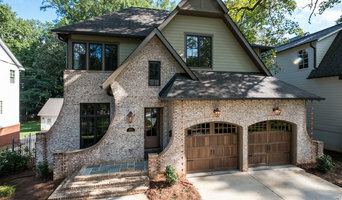 Chiott Custom Homes, Inc. has built homes in some of Charlotte’s finest neighborhoods including Myers Park, Eastover, Foxcroft and Challis Farms. We have also built in the Lake Norman communities of The Peninsula and Sterling Point, as well as Walden Pond in Waxhaw, NC. Both Jonathan Chiott and Randy Carder, Operations Manager, visit the job sites on a daily basis and the homeowners are updated regularly. Quality control, a close working relationship with the area’s top subcontractors, and direct communication with our clients are the primary commitments for Chiott Custom Homes, Inc. By limiting the number of homes under construction at any one time, personal care and attention is given to each house, thereby meeting the highest expectation of the homeowner. *Authorized Builder for Andersen Windows & Doors* Plattner Custom Builders builds luxury custom homes in the Lake Norman area. Our company bears our name because we stand behind what we build. A home should last for generations. We invite you to enjoy the process of building your home or renovating your existing home with Plattner Custom Builders. Colt Alan Davis, a graduate from Lancaster High School, also attended the University of South Carolina and is a resident of Kershaw County. Mr. Davis, a South Carolina licensed builder and owner of a successful construction company for over 11 years, has worked in construction for over 17 years and brings extensive knowledge and experience to every project. Mr. Davis is an active member of the National Association of Home Builders and the Building Industry Association of Central South Carolina. He is not only a licensed builder, but a certified green builder who is also very active in the High Performance Building Council. Built on a foundation of knowledge, experience and enthusiasm, C.A. 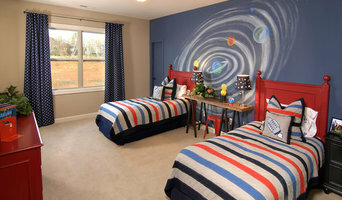 Davis Design and Build LLC is what you are looking for when looking for a builder. C.A. Davis Desing and Build, LLC stands apart from other builders in that we view our business as the opportunity to do everyday what we enjoy the most – building quality homes and remodels for our clients. For Mineral Springs residential home builders who also act as developers, the job starts well before the first nail is driven. They perform local market research to determine whether the prospective homesites make sense in the Mineral Springs, NC market, as well as survey the land on which the house will be built to make sure it is suitable for construction. Custom builders also obtain the necessary permits. 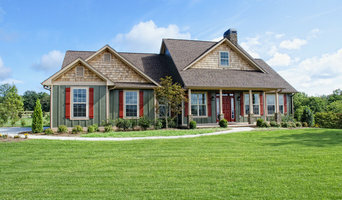 A good custom home builder in Mineral Springs, NC has skills that go far beyond construction — he or she must supervise subcontractors and artisans; keep tabs on local zoning regulations, building codes and other legalities; inspect work for problems along the way; and perform dozens of other roles that are essential in building a quality house. Here are some related professionals and vendors to complement the work of home builders: Interior Designers & Decorators, Landscape Architects & Landscape Designers, Architects & Building Designers, Kitchen & Bath Designers, Specialty Contractors. House builders are responsible for ensuring that the home-building project sticks as closely as possible to the specified timetable, particularly in the event of change orders. Custom and luxury home builders in Mineral Springs, NC also need interpersonal skills to deal with clients of all types, soothe frazzled nerves, negotiate conflicts and resolve problems. 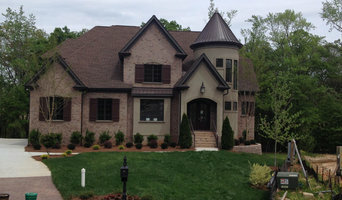 Find custom home builders in Mineral Springs, NC on Houzz. Narrow your search in the Professionals section of the website to Mineral Springs, NC home builders. You can also look through Mineral Springs, NC photos to find a house you like, then contact the builder who worked on it.